Most recently, the government shifted gears yet again. Last week it maintained that, because it did not have an opportunity to reply to the ICC’s initial legal order to arrest Bashir, “South Africa is of the view that a serious infringement of South Africa’s rights as a State Party has taken place and that the Court has acted against the letter and spirit of the Rome Statute.” In other words, the government is arguing that because it didn’t have a chance to negotiate its obligations to the ICC under its own domestic law, the ICC and not the government actually violated the Rome Statute. South Africa has never had the squeaky-clean human rights and international justice record that some in the West attribute to it. Yes, this is the country that brought us the humility of Nelson Mandela and a graceful exit from Apartheid. But it is also the state that welcomed and celebrated the rule of Muammar Gaddafi, the Libyan despot who himself was indicted by the ICC for war crimes and crimes against humanity. A version of this article was originally published for the Monkey Cage blog at the Washington Post. This entry was posted in Africa, African Union (AU), Darfur, International Criminal Court (ICC), International Criminal Justice, International Law, South Africa, Sudan. Bookmark the permalink. 28.4	The Immunities Act does not domesticate the OAU Convention. It is therefore not binding in South Africa, and the structures, staff and personnel of the AU consequently do not automatically enjoy privileges and immunity in South Africa. 28.5	However, acting in terms of s 5 (3) of the Immunities Act, the Minister has agreed with the African Union Commission on Material and Technical Organisation (the AU Commission) to grant privileges and immunity to “Members of the Commission and the Staff Members, [and] the delegates and other representatives of Inter-Governmental Organisations” attending the present AU Summit. That agreement was published in the Government Gazette on 5 June 2015 – just two days before the first AU meetings were due to commence (“the host agreement”). 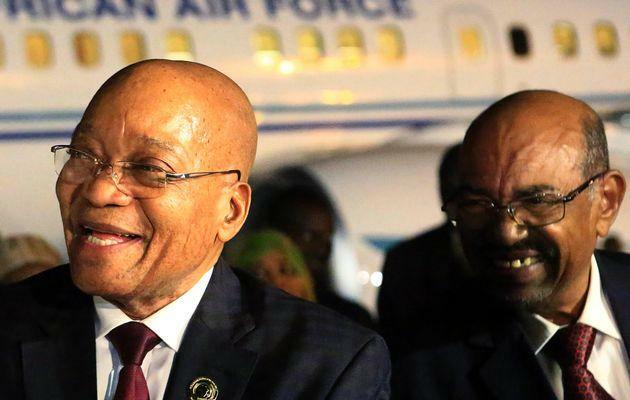 28.6	The only grounds on which President Bashir could conceivably be alleged to enjoy immunity would be as a head of state or in terms of the host agreement. But in fact, neither basis confers immunity on him. Significantly however the notice promulgated by the 5th Respondent makes no reference to section 4 of the Immunities Act.